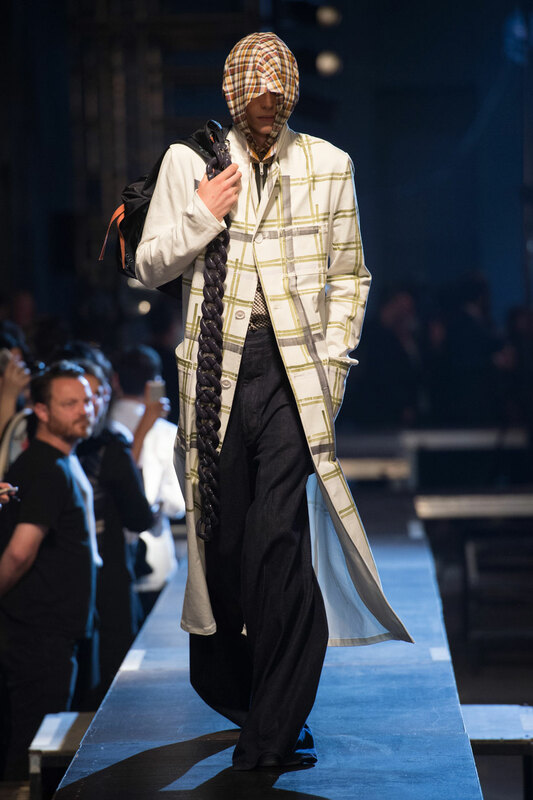 One cannot talk about the Raf Simons show without commenting on the over sized tartan hoods and large, menacing chains; they create a striking image that startles yet intrigues his audience. 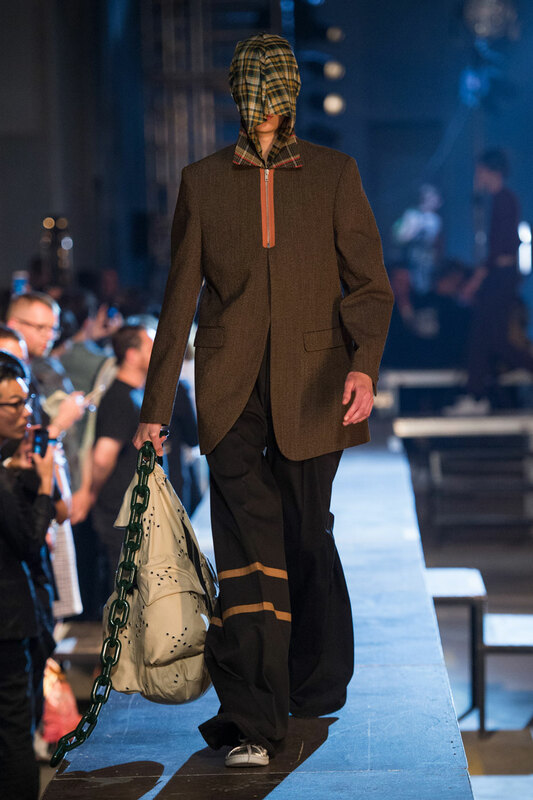 The intimidating effect these two components create, is further explored by the over sized collars and lapels on the coats, shirts and jackets used in the collection. 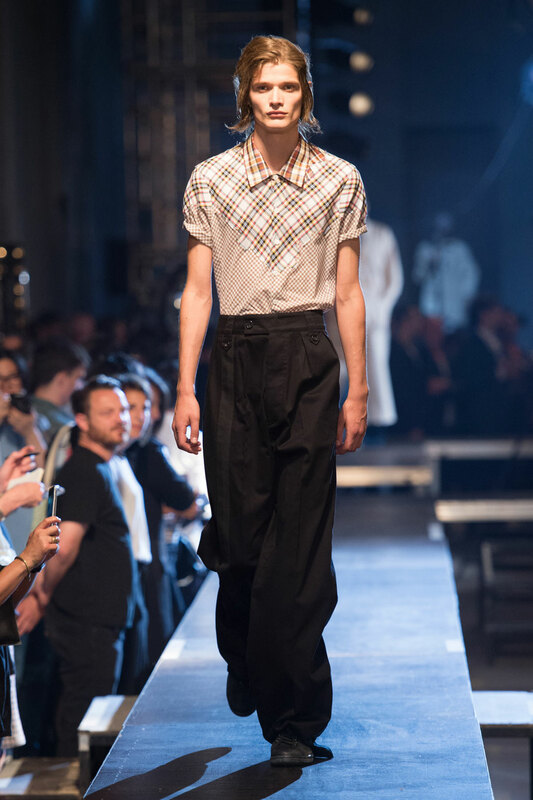 The tartan pattern is repeated throughout the different looks provided in an array of colours and garments. 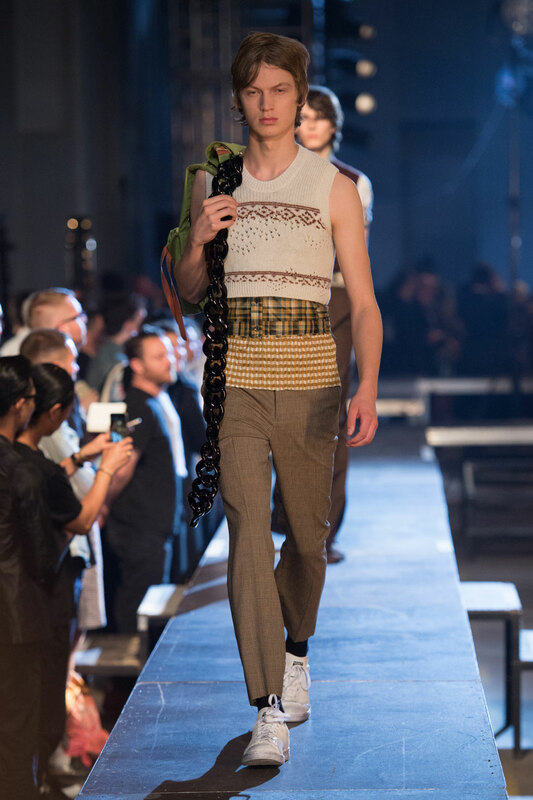 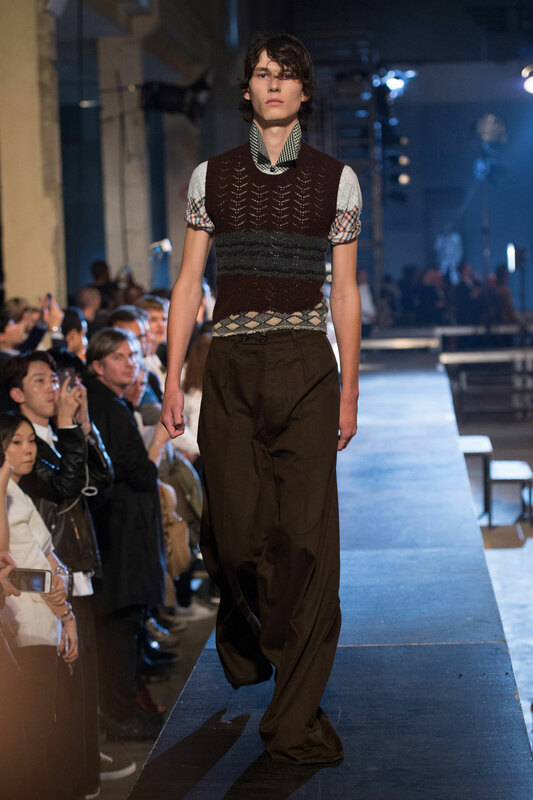 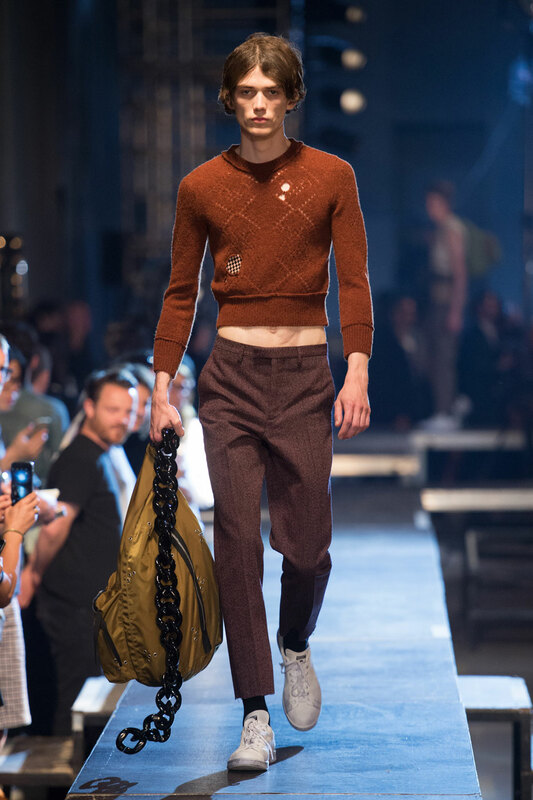 What’s interesting about this collection is the introduction to cropped, fitted, lightweight knits. 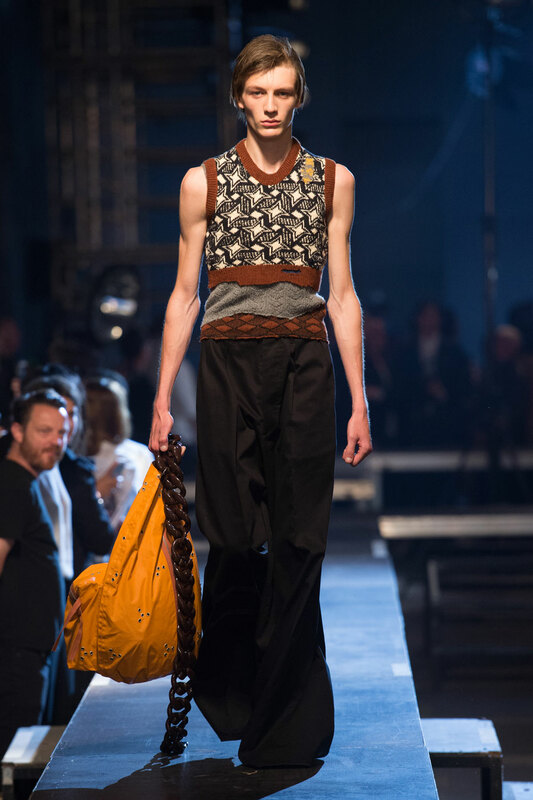 As seen in other shows this season the colour scheme is quite muted, however offering variations of mustard yellows and burnt oranges as statement colours. 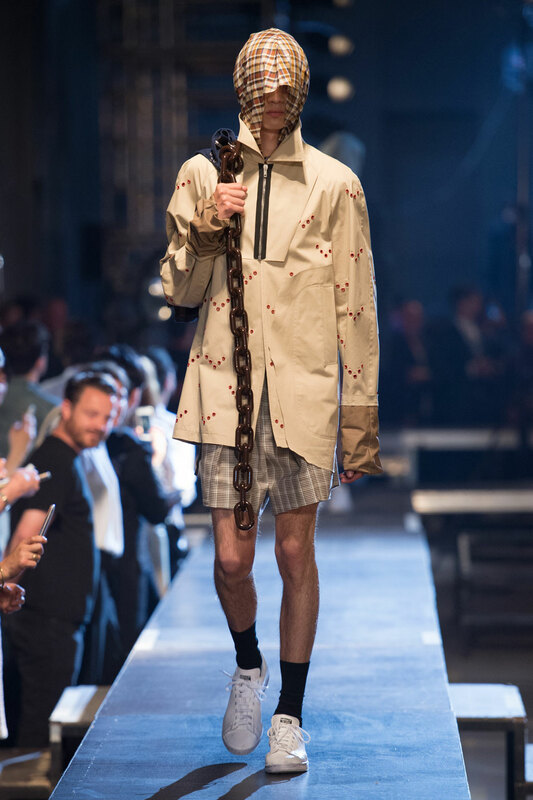 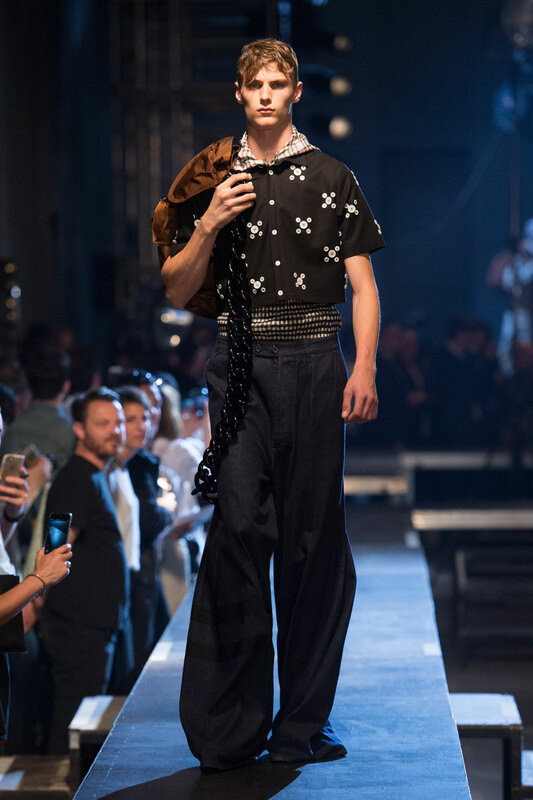 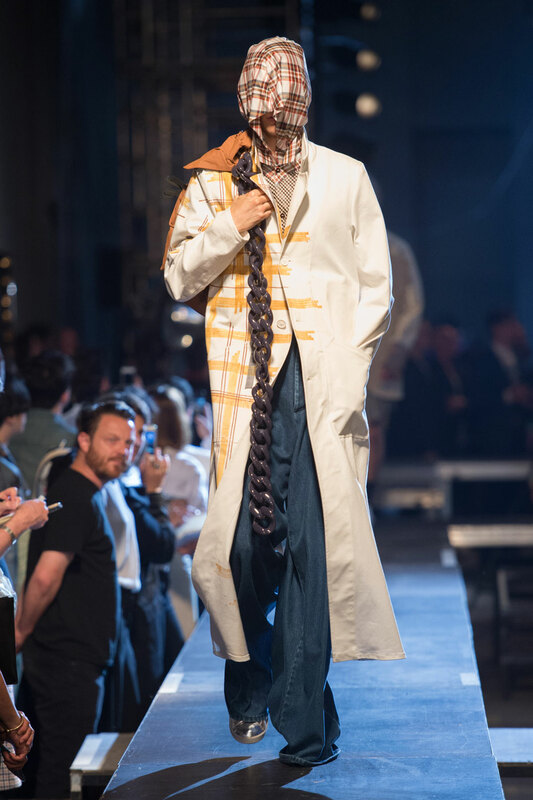 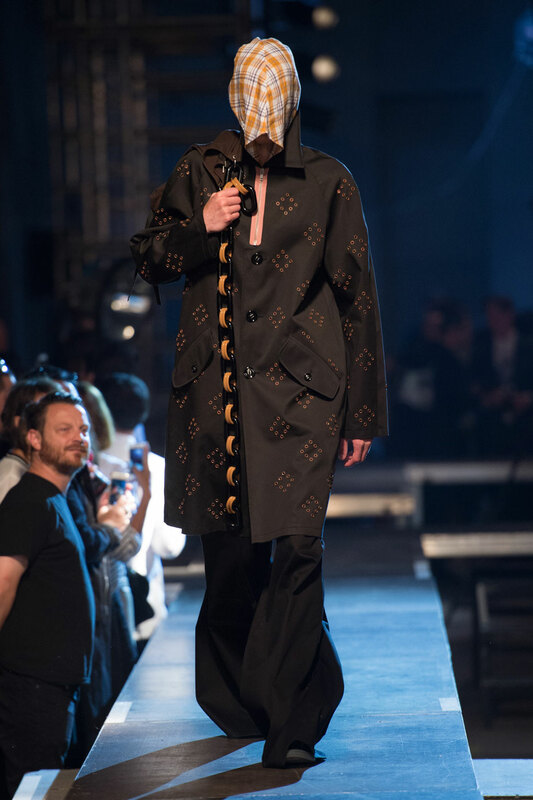 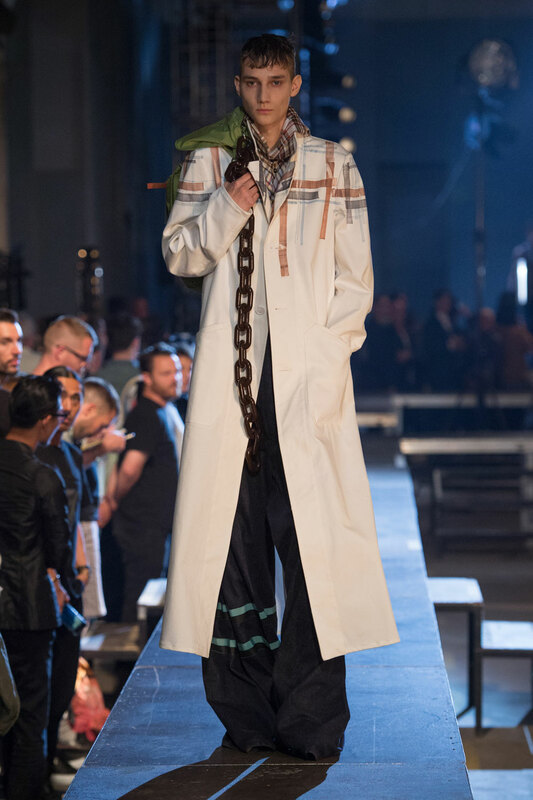 Simons includes long, over sized coats, referencing the darker, threatening image created; especially when all the components are paired with dark, wide legged trousers. 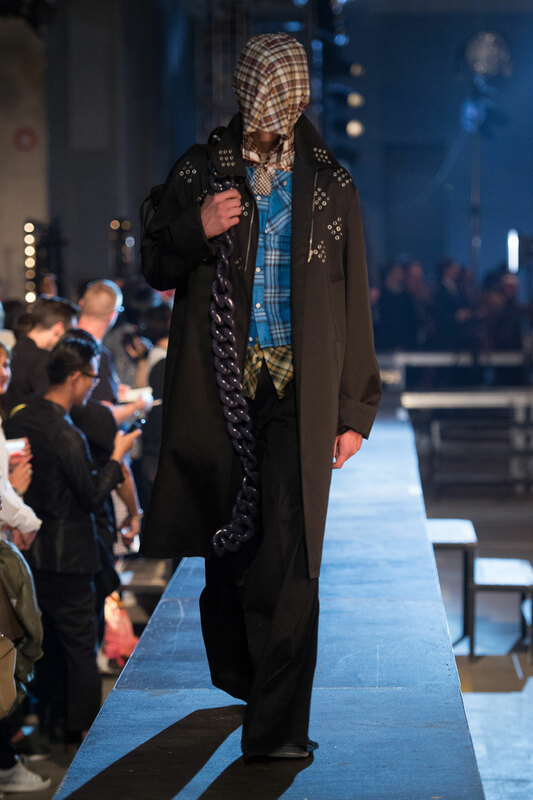 As well as the tartan print that dominates most of the collection, Simons has embossed and studded a harlequin print on the majority of the jackets and coats.